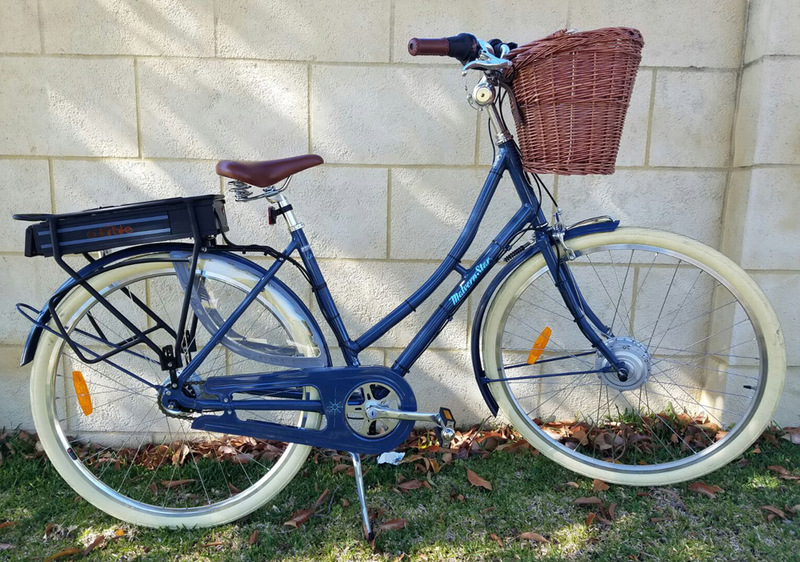 The brand new La Belle reinvents an old Malvern Star name from years gone by but wraps it up in a stylish and sophisticated modern way with more than a nod to the comfort and practicality of the famous ‘Dutch’ style ladies bikes. Whatever outfit you’re wearing, its ready to simply get on and enjoy the ride. Made even better with a Solar Bike long range 36v 17ah rack battery electric conversion at Ace Cyclery.